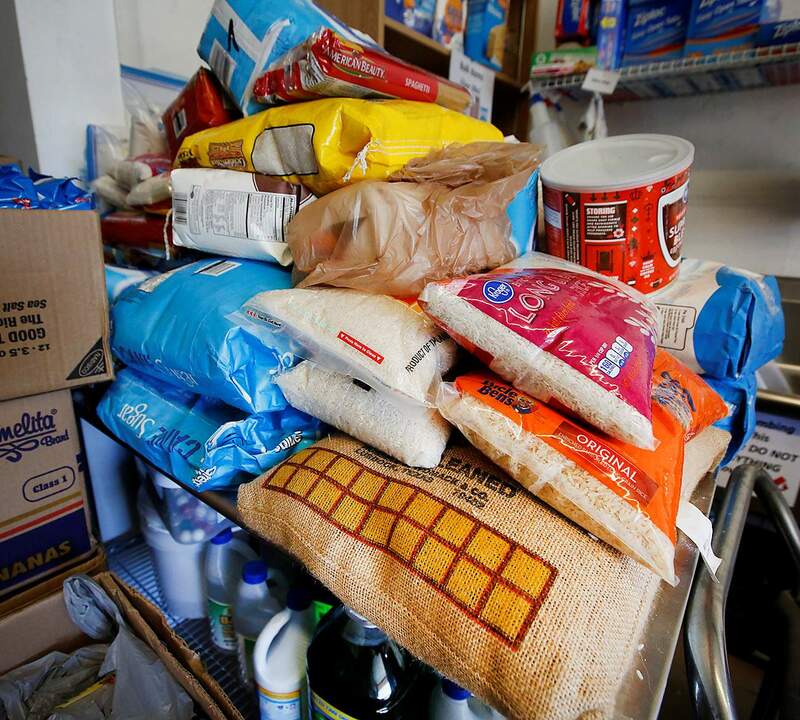 Federal workers are turning to the Durango Food Bank for help after missing paychecks as a result of the partial federal government shutdown. Furloughed federal workers have sought assistance from the Durango Food Bank as a result of the partial government shutdown, while at the same time, one of the food bank’s key programs faces an uncertain future as a result of the shutdown. The partial shutdown has increased demand, but so far, the nonprofit is meeting needs, said Executive Director Sarah Smith. The food bank is allowing some residents to spend money on other needs, such as rent, during the shutdown, Smith said. To meet the needs of federal workers, the food bank is not limiting the amount of food being given to those residents and is not asking them to complete the typical paperwork required for regular clients, she said. As a result of the partial shutdown, more than 40 households came to the food bank recently in a single day, Smith said. By comparison, the nonprofit typically serves 25 to 30 households in single day, she said. The shutdown has also cast doubt on whether the nonprofit will continue to receive monthly funding from the U.S. Department of Agriculture for commodities such as rice, milk and other staples, Smith said. The food bank may need to provide supplementary food for those enrolled in the commodity program if it is reduced or temporarily ends, she said. The food bank and Manna soup kitchen are also bracing for increased demand resulting from a change to the food stamp program, known as the Supplemental Nutrition Assistance Program. About 1,850 families rely on food stamps in La Plata County. But because of the shutdown, the federal government issued food stamps early for February benefits, and families will receive benefits no later than Sunday, said Martha Johnson, director of La Plata County Human Services. Early release of the benefits could make it tough for families to budget through the entire month of February, she said. “One way people are able to stretch their benefits is by going to the food bank,” Johnson said. The fate of SNAP benefits is uncertain if the government shutdown continues into February. However, furloughed workers are welcome to apply for food stamps, she said. With higher demands looming, the food bank has two months of food reserves on hand and expects to dip into them to meet the community’s needs, Smith said. “We will be playing catch-up later,” she said. People who need food may stop by the Durango Food Bank from 10 a.m. to 3 p.m. Tuesdays through Thursdays and from 9 a.m. to noon Fridays at 194 Bodo Drive, Suite C.
The food bank needs monetary donations because it doesn’t have space for food donations at this time. For more information about how to help, contact Executive Director Sarah Smith at director.durangofoodbank@durango.net or call 375-2672.